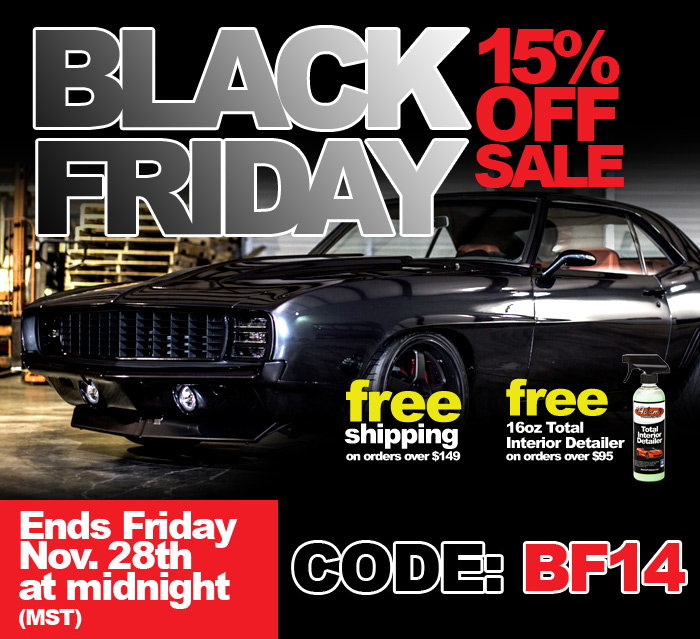 Z06Vette.com - Corvette Z06 Forum > Vendors > Adam's Premium Car Care Products > Adam's 2014 Black Friday Sale! 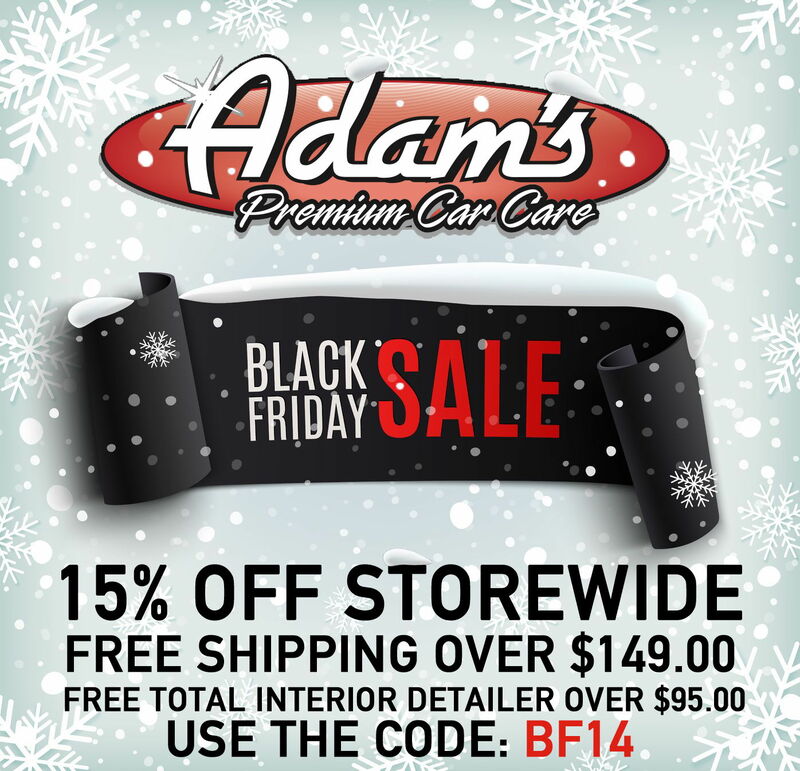 IT'S THE ONE YOU'VE BEEN WAITING FOR - ADAM'S 2014 BLACK FRIDAY SALE!! THE FLEX IS BACK! You asked, so we responded. You spoke loud and we pride ourselves on listening, so we welcome the Flex 3401 back to the Adam's Polishes family with open arms. To celebrate we're including a deluxe Flex bag with the first 25 machines purchased. To claim yours CLICK HERE! Hurry... these won't last long! NEW! ADAM'S CAN GUN is the perfect add on to your favorite Adam's aerosol products like In & Out Spray or Quick Sealant. Spare your fingers unnecessary fatigue and make application even easier. CLICK HERE to grab your Adam's Can Gun now! NEW! ADAM'S BIG BLUE CLAY BAR is our newly reformulated clay compound. Still ultra-fine grade and safe for all finishes, the new clay bar is less sticky and won't make a mess. CLICK HERE to grab your own BIG BLUE Clay Bar now! BE SURE TO CHECK OUT ALL THE NEW PRODUCTS, KITS, AND SPECIALS ON OUR SITE! Re: Adam's 2014 Black Friday Sale! In & out is the what gets your car noticed at the shows. This is the secret weapon. It's back, and it's bad! Go get you sum! Been using Adam's stuff for at least a dozen years. Keep your Megs and Mothers cheap junk. Adam's for the win. Thanks for the kind words! Adam's In and Out Spray is indeed a game changer! Thank you very much for your purchases, and for your support of Adam's Polishes!